We’re big fans of food, beer, cooking reality shows, rubber ducks and forks. Do you love to cook? 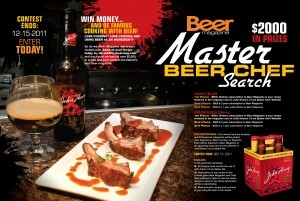 Do you love to cook with beer as an ingredient, or know somebody who does? 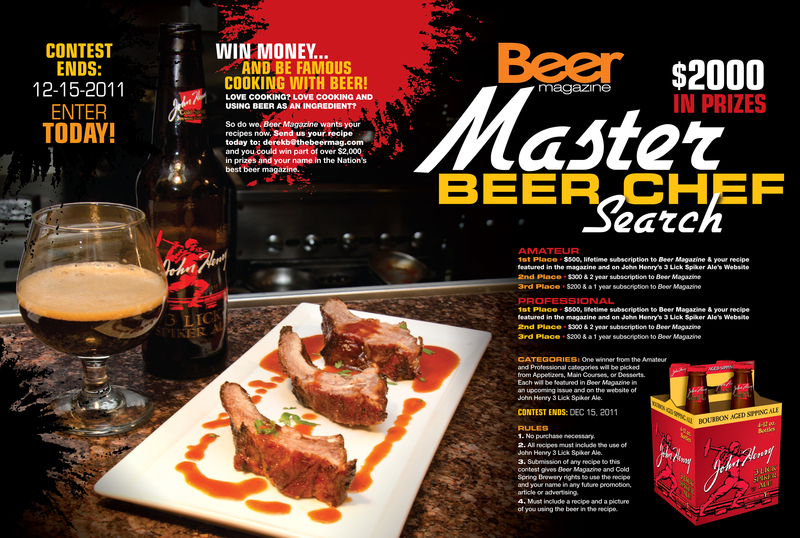 Enter our Master Beer Chef Search and you could win part of over $2,000 in prizes! 1. Send in a recipe (with some steps if possible but for now just the recipe) using John Henry 3 Lick Spiker Ale as the beer used in the recipe. 3. Sit around and wait to see if you won! The winner will be announce in the next issue of Beer Magazine. There are two categories available. Amateur and Professional. You can create any dish (appetizer, main or dessert) and the winner of each gets $500, a lifetimes subscription to the magazine and will be featured in Beer Magazine and John Henry’s Website. Second and Third place get $300/$200, the magazine and their names in the magazine too! So don’t wait around. Get the beer. Get cooking and start winning! Tell a friend, chef or just tell a stranger!